Clean chicken and cut into small size. Mix turmeric powder and lemon juice with chicken and keep it aside. Heat oil in heavy bottom pan, add tempering items. Once spices splutter add ginger garlic paste and saute well. Add onion and cook till half done. Then add chicken,small amount of salt and cook until it turn into white color. Now add tomato,all the spice powder, cup of water and cook till the water becomes dry. 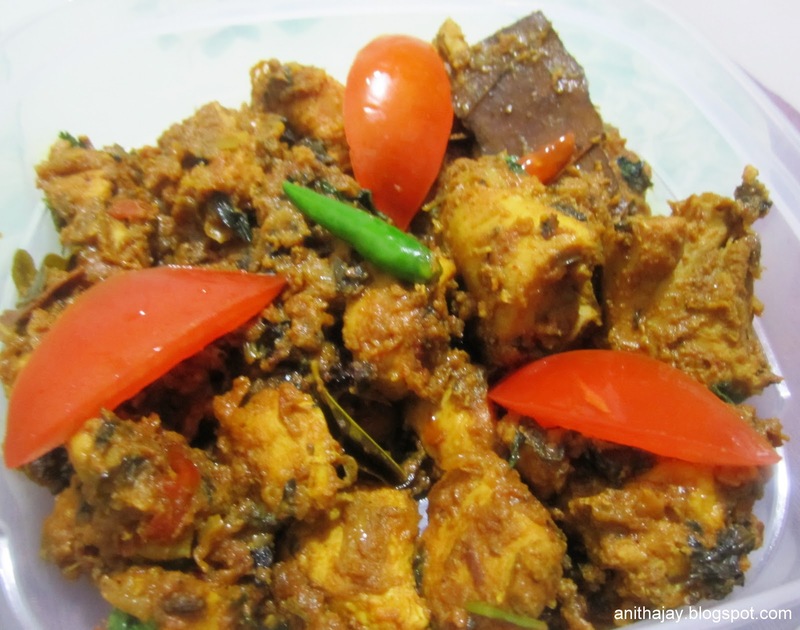 Very tempting fish masala fry, droolworthy dish. Yummy chicken masala. Am your new follower . Glad if u will follow me back. Wow!! great recipe and so mouth watering. 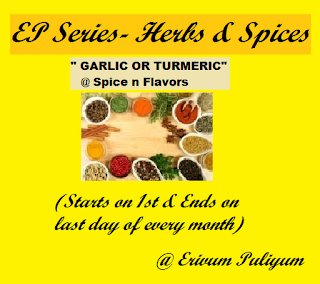 Thanks for sending as entry to December event, cooking with Herbs and spices.